Australia is the largest contributor to cartographic education in the region but there is vital input from both New Zealand and Papua New Guinea. Many education programs include cartography, GIS, photogrammetry and remote sensing as key courses and some provide majors in these discipline areas. Curtin University in the State of Western Australia and the RMIT University in the State of Victoria, Australia, are the only two remaining bachelors degree programs devoted to cartography. Provided below is a breakdown of cartography and mapping science related programs available in the region. Employment prospects for cartographer in Oceania cover a wide and varied field. Graduates are involved in developing geographic information systems, designing tourist guide publications, interpreting remotely sensed satellite images, producing topographic and base maps, compiling street directories, operating desktop mapping packages and developing computer mapping systems. They are employed by many privateÂ organizations, local government and State and national mapping authorities, exploration and mining industries, environmental mapping agencies, and private mapping and town planning companies.. The following text has be extracted and modified from information available at the Spatial Sciences Institute websiteÂ (http://www.spatialsciences.org.au/index.asp). In April 2003, the members of the Mapping Sciences Institute, Australia (MSIA); the Australasian Urban and Regional Information Systems Association (AURISA); the Institution of Engineering and Mining Surveyors Australia Inc (IEMS); the Institution of Surveyors, Australia (ISA) and the Remote Sensing and Photogrammetry Association of Australasia (RSPAA) voted to become founding members of the Spatial Sciences Institute. The Spatial Sciences Institute (SSI) is the national body combining the professional disciplines of mapping, surveying, engineering & mining surveying, remote sensing & photogrammetry and spatial information. The national structure takes advantage of economies of scale and standardised administrative procedures. Service delivery, however, especially Continuing Professional Development, remains at the regional level to ensure the needs of members are best understood and met. There are no barriers to membership of the Institute, but all members must adhere to SSIÂs Code of Ethics. Members will not be required to hold an academic qualification. However, training, qualification and experience will be recognised and rewarded through formal certification. Communities of Practice - land administration, natural resource management, emergency management, forestry, agriculture, defence, marine environment, local govt, health, education, tourism, transport and many more. The SSI recognises that the Australian and global communities can improve and become more efficient, safer and healthier places to live with the help of spatial sciences applications and services. Cartographic training in Oceania is undertaken through Technical and Further Education (TAFE) colleges (or equivalent) where student gain skills which allow them to produce the maps required in the region. Students obtain a certificate, diploma, associate diploma or advance diploma on graduating. 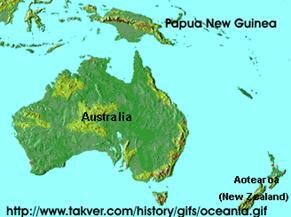 Cartographic education in Oceania is undertaken through the advance college (AC) stream at a University. Students leave the course equipped to manage cartographic project and to provide future direction for the industry. Students obtain a Bachelors degree and can do an honours year. Higher degree options are available as Master by Coursework, Master by Research and PhD. There is usually an articulation agreement to allow student to move from one sector (TAFE) to the other (AC). Upon successful completion of an undergraduate or postgraduate course, graduates are academically eligible for admission to a number of professional organisations including the Spatial Sciences Institute. Cartography graduates are employed in a diverse range of industries. Some specific organisations that employ cartography graduates are presented at the following website,Â http://www.gs.rmit.edu.au/courses/c-mp3.htm.